Welcome to the "New Normal" on professional sales! No matter where you are in your sales career, decide today to make the next year the very best and highest-income year of your life so far. This article will tell you how to do it. Selling is an art as well as a science. The effective sales process has several moving parts. Your ability to identify and then master each of the key result areas of selling is essential for you to earn the maximum income that is possible for you. When Vince Lombardi took over the Green Bay Packers some years ago, he was asked what he was going to change. The players? The plays? The training process? How was he going to turn this team around after a string of failures and bad years in football? Lombardi is reported to have replied, "I am not going to change anything. We will use the same players, the same plays, and the same training system. But we will concentrate on becoming brilliant on the basics. Before I am finished, we will be the best team in the National Football League in kicking, passing, blocking, running, and catching. We will run our plays with such precision that the other side will know what we are going to do but will be unable to stop us. We will be brilliant on the basics." This principle applies to you as well. Your job is to become brilliant on the basics of selling. This begins by your identifying the seven essential parts of the professional selling process and then by developing a plan to upgrade your skills in each area. Fortunately, all sales skills are learnable. It does not matter how well you have performed in different areas in the past. You can learn any sales skill that you need to learn to achieve any sales goal that you can set for yourself. Everyone in the top 10% of your field started in the bottom 10%. Everyone who is doing well today was once doing poorly. The top people in your industry were at one time not even in your industry and did not know that it existed. But once they began, they committed themselves to becoming excellent in each of the key result areas that make up the successful sale. Here is an important discovery. Your weakest key skill sets the height of your income. Just as a chain breaks at the weakest link, the skill at which you perform the worst determines how many sales and how much money you. By improving a single skill, the one skill that can help you the most, you can increase your sales and your income faster than in any other way. Here is the key question: "What one skill, if you were absolutely excellent at it, would help you the most to double your sales and your income?" This is one of the most important questions you will ever ask and answer. When you ask yourself this question, the answer will usually jump into your mind. If you are not sure of the answer, it is essential that you find out, and find out quickly. Ask your manager. Ask your best customers. Ask your colleagues. You must know your weakest skill if you are going to improve in that area and unlock your full potential for higher income. In this article, I will give you the seven key result areas of selling and show you how to measure your ability in each area. Give yourself a grade of 1 to 10 in each of the key result areas of selling. A 1 means that you are low in that area, and a 10 means you are highly skilled in that area. Be honest with yourself. If you are not sure about the accuracy of your answers, review your personal scores with your sales manager or someone else who knows the truth about your sales ability. The starting point of personal improvement is when you become absolutely honest with yourself and others about the areas in which improvement can have the greatest impact on your sales. The first key result area of selling is prospecting. This is defined as your ability to get face to face or ear to ear with qualified prospects who can and will buy your product or service within a reasonable amount of time. Please note that this does not mean that you talk to lots of interesting people who may or may not buy your product sometime in the future. Prospecting requires that you spend more and more time with people who can buy and pay for what you are selling in the short term. A score of 10 means that you are fully occupied, every hour of every day, and you have so many prospects that you cannot take on any more. You probably have an appointments secretary who keeps a backlog of people who are eager to talk to you and to buy from you. If this is your situation today, you would give yourself a 10. A score of 1 means that you are a lonely person. You sit around the office like the Maytag repairman. You don't phone anyone, and no one calls you. You probably drink a lot of coffee, read the newspaper, play on the Internet, and chat with your friends much of the time. It is easy to give yourself a grade on the subject of prospecting. Just calculate what percentage of your time is spent each day with prearranged prospects. If it is 50%, give yourself a 5. If it is 70%, give yourself a 7. The second key result area of selling is establishing rapport, trust, and credibility. People will not buy from you until they like you, trust you, and are convinced that you are their friend and acting in their best interests. A score of 10 in this area means that you are a positive, cheerful, high-energy individual with a warm, empathetic personality and you get along wonderfully with almost everyone you meet. A score of 1 means that you may get to see or talk to people for the first time, but after that, they never want to talk to you or see you again. The third key result area of selling is identifying needs accurately. The biggest mistake that you can make when you meet or talk to a new prospect is to assume that you already know what this prospect needs, wants, and is willing to pay for. Each prospect is unique, special, and different from all other prospects. He or she has special wants, needs, hopes, fears, and desires. In the initial stage of your conversation with the prospect, your single focus is to ask questions and listen carefully to ascertain whether or not a genuine need for what you sell exists in the mind and heart of the person you are talking to. A score of 10 in identifying needs would mean that you have a careful series of questions, from the general to the particular, which you go through, one-by-one with the prospect to clearly ascertain that the prospect needs the product or service you are selling. At the end of your questioning process, it is abundantly clear to both the prospect and yourself that the prospect can use, benefit from, and pay for what you are selling. If you scored a 1 in identifying needs, this would mean that your approach to each prospect is random. You ask whatever questions pop into your mind and say whatever falls out of your mouth. For you, every sales call is a new adventure. You have no idea what is going to happen or how it is going to turn out. The mark of the professional is preparation. He or she has thought through and prepared every part of the sale conversation. He or she leaves nothing to chance. The fourth key result area of selling is the presentation. In reality, the presentation is when the sale is made to a qualified prospect. Every part of your presentation must be thought through and planned in advance. Nothing must be left to chance. You must make every effort to make sure that your presentation is effective, believable, and persuasive. A score of 10 in presenting skills means that you have carefully thought through and prepared and practiced your presentation. You move smoothly from one step to the other, asking questions, showing how your product or service works, and how the prospect can most benefit from owning and enjoying what you sell. At the end of your presentation, if you are a good salesperson, the prospect will be completely convinced and ready to buy, even without asking the price. At the other end of this scale, a 1 in presentation skills means that you walk into sales meetings unprepared and say whatever occurs to you. You do little or no preparation and are more concerned with talking faster and louder in a vain attempt to convince the prospect that he or she should buy than you are with following a professional sales process. At the end of your conversation, the prospect looks at you with some confusion, shakes his or her head and says, "Well, it sounds very interesting. Let me think it over." However, the fact is that nobody thinks it over. Nobody thinks about your product after you leave. The words "I want to think it over" are a polite way of asking you to leave. As soon as you are out of sight, the prospect forgets that you ever lived. The first thing he or she does after you leave his or her presence is to throw your sales materials in the wastebasket. The fifth key result in selling is answering objections effectively. As it happens, there are no sales without objections. Objections indicate interest. All top salespeople have carefully thought through every objection that a qualified prospect is likely to give them as reasons for not buying at this time. They have then developed a powerful, practical, and persuasive answer to that objection. On a scale from 1 to 10, you would earn a 10 in answering objections if your pre-prepared answers were so clear and focused that as soon as you gave your answer, the prospect immediately dropped his or her opposition and was open to buying. A score of 1 in this area would mean that you have given little or no thought to the objections you might receive, and whatever the prospect says, as part of natural sales resistance, causes you to become angry and defensive. Sometimes you get red-faced and argue with the prospect. Sometimes you start to question your own quality or ability and wonder whether your product or service is any good in the first place. If you get too many objections, you would probably think about quitting. The feelings of rejection triggered by objections are the primary reason why people drop out of the selling profession each year. 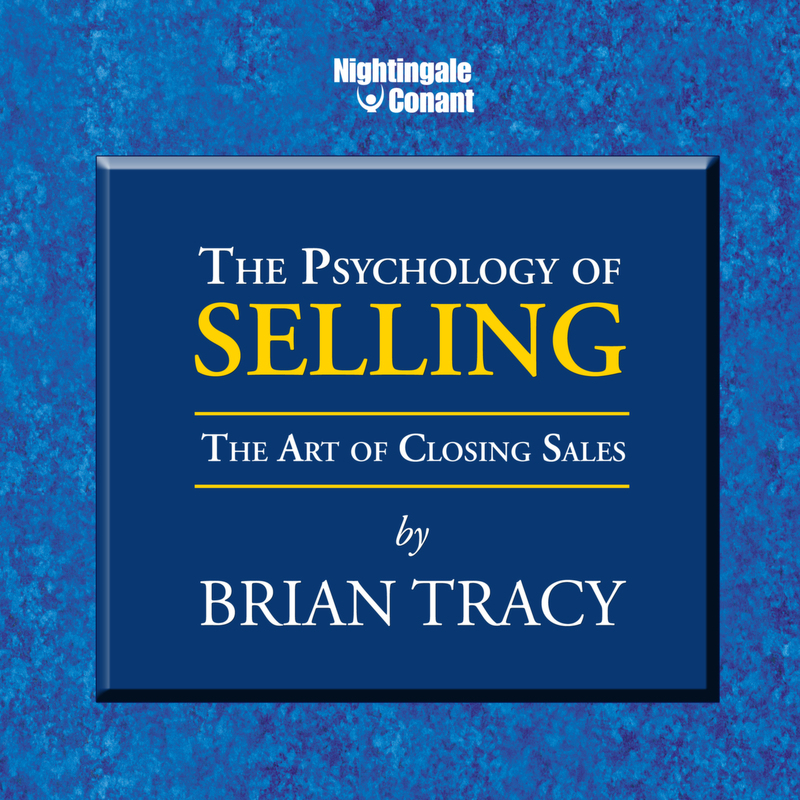 The sixth key result area of selling is closing the sale. In golf they say that "You drive for show, but you putt for dough." A score of 10 in closing the sale means that you have carefully thought through how to ask for the order in a variety of different ways. You know how to assure that the prospect knows you and likes you; that the prospect wants, needs, and can afford your product or service; that the prospect has no further objections; and that you know how to ask the proper question at the correct time. A score of 1 in closing the sale means that when you reach the end of the sale, you start to go into a state of semi-panic. Your heart rate increases. You begin to perspire. You feel nervous and uneasy. You feel like a trapped rat unable to go forward or backward. The customer senses your level of stress and unease, and begins to wonder if something terrible is about to happen. As a result, the customer tenses up as well, folds his arms, and goes into a defensive position. The customer is ready to protect his or her wallet against your request, whenever it comes. Finally, you say something like, "Well, what would you like to do now?" and the customer says, "Well, let me think about it." The seventh key result area of selling is getting resales and referrals. For you to move into the top 10% of your field, you must develop the skill of generating resales and eliciting referrals to a high level. Fortunately, this is a learnable skill as well. All the highest-paid salespeople, in every field, have become artists at getting their customers to buy from them again and again, and at getting qualified referrals from satisfied customers. A score of 10 in getting resales and referrals means that you have what is called a "Golden Chain" of referrals from happy customers. Because you take such good care of your customers and continually ask them for the names of other people who may be interested in what you sell, people are opening doors, making telephone calls, and introducing you to prospective customers day after day. If you have a score of 10, you are so busy calling on referrals that you no longer have any time to prospect. You have so many referrals that you probably need a sales assistant to keep your appointment book straight. You have a waiting list of customers who want to buy from you, if you have an opening. From morning to night, you are calling on qualified people who are eager to buy and are just waiting for you to give them the number to fill in on the check. That's a 10. A score of 1 in this area means that you seldom get a resale or a referral. Once you have sold to someone, you quickly forget about the person, throw the person's name over your shoulder to the company, and go on finding new customers. You don't know how to ask for referrals, and you are terrified of rejection, so at the very most, you will say, "Do you know anyone else who may be interested in my product?" Because of this phrasing, the prospect or customer says, "No, not right now; let me think about it." Wherever you have given yourself the lowest score is also your greatest opportunity for rapid improvement in your sales results. No matter how nervous you are, no matter how much fear you have of failure or rejection in this particular skill area, remember that it is learnable. As you learn and master this skill, all your fears will go away and be replaced by confidence, courage, and a feeling of personal power. Resolve today to make the next year the very best and highest-paid year of your life. Resolve today to fulfill your potential in selling and become all that you are capable of becoming. Resolve today that you are going to become "brilliant on the basics" and never stop improving. You don’t have to work harder; in fact, this approach to selling today is surprisingly simple to implement and provides you with powerful results. Everything you do becomes more efficient and more effective, your closing rate goes through the roof, and your bank account grows — and all the while, you’re having fun! If you’re talking desire and commitment, we’re talking big money and big success. We’re talking never having to worry about money again, because that’s the way top salespeople are paid. Those in the upper 20% of salespeople earn 16 times the average of those in the bottom 80%. But those in the top 20% are not 16 times better than those in the bottom 80%. The difference is usually a very small one. Brian Tracy knows what that small difference is. And he’ll teach you. If you furnish the desire and the commitment to be a top salesperson, Brian Tracy will give you everything else you need to succeed. Indeed, if you follow his program, you literally cannot fail. Tracy himself is a top salesperson, of course. But he is more. He is also a great teacher, a man who teaches and trains and inspires salespeople in speeches and seminars all over the country. So, he corrected that oversight by structuring his own “college-level” course in selling: The Psychology of Selling. It covers virtually everything you could want to know about selling, from the theoretical (psychology: why people buy) to the eminently practical (sales closes, time management). To make this course as easy as possible to use, we have put it on audio format, which captures the "live" excitement. You can go back and review as often as you wish. Listen and learn at your own pace, when and where you wish (even in your car!). Is it easy to become a top salesperson? No, because anything that pays so well should not be easy. But it is easier than you think, because the difference between top performers and average performers in selling is not great. Brian Tracy is not out to help you make a "quick buck." He is out to help you make big bucks, year after happy, golden year. I want to triple my sales income within the next 12 months! The Psychology of Selling at the special price below. — I can select one of two ways of ordering.